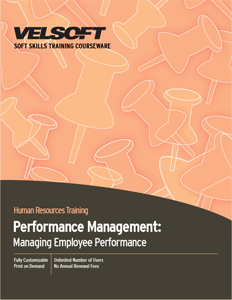 Performance Management Training Materials are designed for trainers to teach managers how to manage employee performance. Train supervisors the shared management model, how to set goals, how to choose the right person for the job, how to provide constructive feedback and more! Seeing is Believing This sample manual to teach Performance Management is in MS Word format.